All the loveable characters are back -- Alex the lion, Marty the zebra, Melman the giraffe and Gloria the hippo, King Julien, Maurice and the penguins -- in "Madagascar: The Crate Escape." Left marooned on the distant shores of Madagascar, the New Yorkers have hatched a plan so crazy it just might work. With military precision, the penguins have repaired an old crashed plane -- sort of. Once aloft, this unlikely crew stays airborne just long enough to make it to the wildest place of all -- the vast plains of Africa itself -- where our zoo-raised crew encounters species of their own kind for the very first time. While discovering their roots, they quickly realize the differences between the concrete jungle and the heart of Africa. Despite long-lost relatives, romantic rivals and scheming hunters, Africa seems like a "crack-a-lackin" great place...but is it better than their Central Park home? 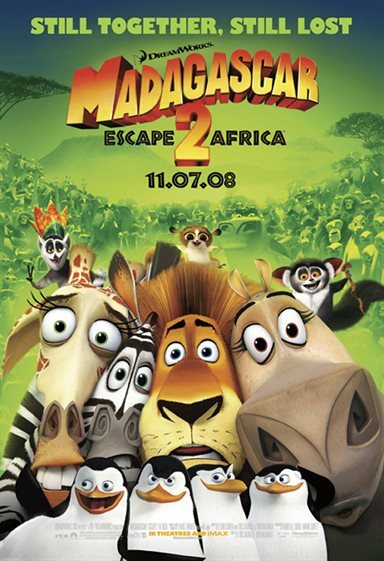 Download Madagascar: Escape 2 Africa in Digital HD from the iTunes store. Madagascar: Escape 2 Africa images are © DreamWorks Animation. All Rights Reserved.